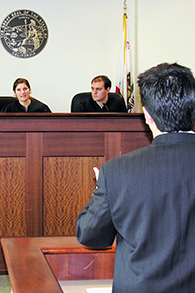 The Chapman University Fowler School of Law offers an Appellate Moot Court Board, a Mock Trial Board, and a Dispute Resolution Board where students participate and compete in various simulated court situations, both in house and with schools at the regional and national level. Lawyering skills competitions at Chapman offer "real world" opportunities for students to practice research, writing, analytical, and communications skills. 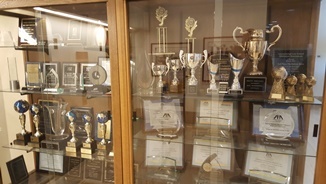 The competitions also provide practical training in ethics, judgment, and professionalism. By participating in the various competition programs, students put their skills into practice in a setting where pride and healthy competition drives them to excel. Chapman's competition programs are consistently competitive on a local, state and national level, with teams frequently placing among some of the nation's best law schools. Graduates who have participated in the competition programs are sought-after by the hiring community, based upon their real world experience. Competitions offer an opportunity to learn and internalize necessary skills and values in an intense, enjoyable way. Competitions also offer a way to meet and learn from members of the local bench and bar, who have acted as judges and coaches for our teams, and to interact with skilled advocates and judges from outside of Orange County.